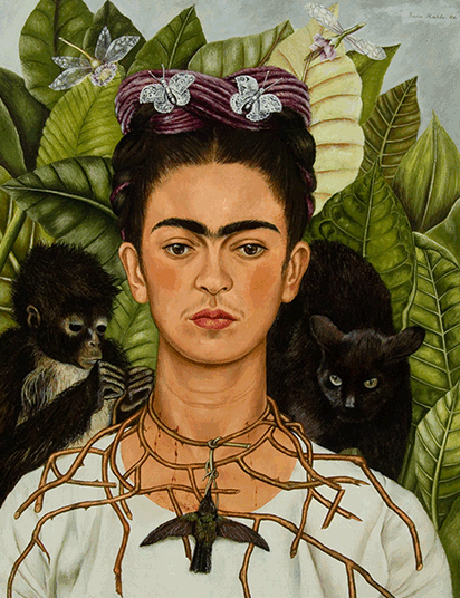 Frida Kahlo – Art – Garden – Life at the NY Botanic Garden has been a blockbuster show with over 750,000 people attending over the past few months. We went early on a beautiful sunny day and had the place almost to ourselves. The Haupt Conservatory has been re-imagined as Casa Azul, the home she shared with Diego Rivera in Mexico City. The Mertz Library features 14 original works (no photography allowed – so we took mental pictures). If you cannot make it to the Garden by November 1st, enjoy today’s montage. Wish I could be there to see it & the Picasso Sculpture exhibit. so beautiful! I am going next week — I heard they are putting up an altar for Day of the Dead.